What our enemy cannot destroy with lies, he destroys with bullets; what he cannot destroy with bullets, he destroys with bombs; what he cannot destroy with any of these: The Truth! Our fight, for the freedom of this tired, dusty world. Our struggle, the races of planet Earth, wounded souls one and all, grasping one commonality: the aching desire to be free. Adolf Hitler united the races of our little world, he taught us to be strong, even in the face of unbeatable odds. He gave us back what we desperately needed -- our pride. Our pride in our nations, in our histories, our peoples and cultures. That every race had something to give. Something real to believe in. Gone were the days of European brother killing brother. For the first time the sons and daughters of Europe were united. Men and women, from the hot plains of Africa, to the snow-capped mountains of distant Russia, saw for the first time a glimpse of true freedom. A freedom their ancestors only dreamed of. And they clung to it even as hope faded away before their tired eyes. Human beings from all over this planet, dozens of nations, gave their very lives for that chance. But it was not in vain. Their sacrifice is rising like a burning star. A phoenix from the ashes of WWII. Their stories, their truth -- our truth, known at last. The smoke is finally beginning to clear and nothing can stop us now. 'The earth is alive, and it feels with you. It follows your footsteps, your search, with equal anxiousness, because it will be transfigured in your triumph. ...Misfortune must not make us cowardly, but rather resistant, never giving a mocking watching world the appearance of wavering. 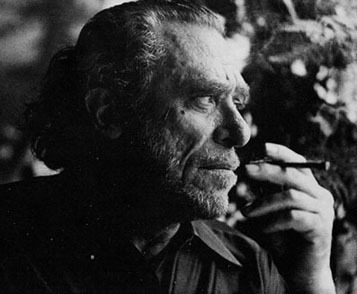 Below is a poem by American underground poet Charles Bukowski (August 16, 1920 – March 9, 1994) that reminds me of our fight. On January 1, 1886 all of Burma became a colony of Britain following three Anglo-Burmese Wars between 1824-1885. With their new rulers, much change came to the country. The British sent in Indians as soldiers and workers of all kinds, including civil servants, traders, and construction workers. The new Anglo population came and dominated the economics in Burma. Britain chose Rangoon to be the capital of British colonized Burma because of its location as a port between Calcutta and Singapore. The new rulers of the Burmese people did not conjure good feelings from the native population. Feelings of resentment began to grow. 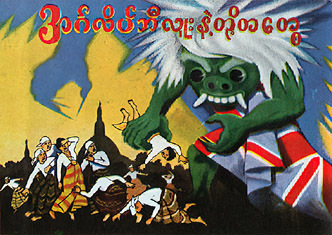 The British did not respect the customs and culture of the Burmese. The British refused to remove their shoes when entering religious structures (such as pagodas), which was the Buddhist tradition of the Burmese. This disrespect for their religion was one of the reasons the Burmese monks became activists in the movement for independence from Britain. There were often violent riots in the capital city, continuing even over forty years after the British took over. The monks chose less bloody paths of dissent, protesting with hunger strikes and other non-violent ways. In one famous case a Buddhist monk starved to death in prison after a 166 day hunger strike protesting that monks were not allowed to wear their robes in prison. On April 1, 1937 Burma became a separately administered colony of Great Britain. 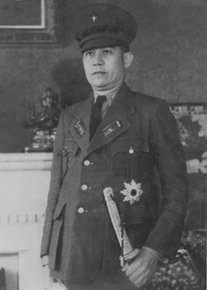 A Burmese patriot named Ba Maw served as the first Prime Minister and Premier of Burma through February 1939, having first been elected to the Legislative Assembly as a member of 'The Poor Man's Party'. 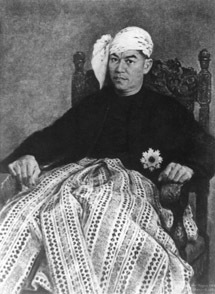 Ba Maw was an outspoken advocate for self-rule and he opposed Great Britain's involvement in WWII, because that would mean Burmese involvement also. He resigned his position on the Legislative Assembly and was then arrested for sedition on August 6, 1940. Ba Maw spent more than a year in prison as a political prisoner until he was freed by the Japanese when they quickly overran Burma in December of 1941 and occupied it in 1942. [Above: Ba Maw (February 8, 1893 – May 29, 1977) was the first Prime Minister and Premier of Burma and an ally to Imperial Japan. [Above: Ba Maw was not a fan of flashy medals. He would often say that those who flashed fancy medals usually didn't deserve them. Prior to the Japanese occupation, the feelings of Nationalism and the yearning for separation from the British rulers began to swell. 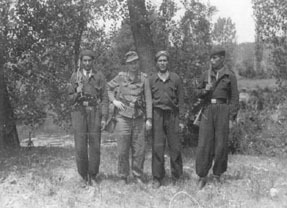 Young Burmese men wanted a way to fight for their freedom. 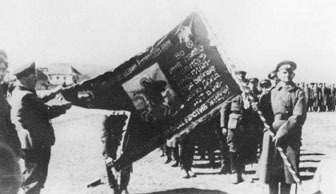 A group called 'The Thirty Comrades' was formed. The Thirty Comrades were the first members of what would later be the Burma National Army. This group was looking for outside help and training in order to expel the British from their homeland. In 1941 small groups of Burmese men traveled to China in order to get the help they needed from the communists. In a great twist of fate, destiny took hold of them and placed them in the opposite direction -- at the foot of the Japanese. The Japanese were eager to help the Burmese free themselves from British occupation. 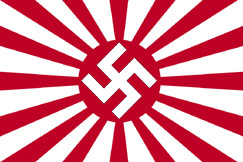 The Japanese Army trained them in espionage, combat, command, guerrilla warfare, and political tactics. 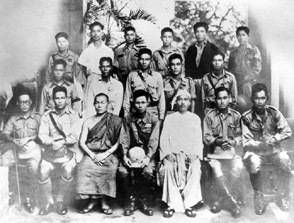 The Thirty Comrades soon became the core of the Burmese Independence Army. On December 26, 1941 twenty-five of the Thirty Comrades gave a traditional Burmese oath of loyalty, called 'thway thauk'. This solemn oath included each of them drawing blood from their arms and pouring it into a silver bowl. 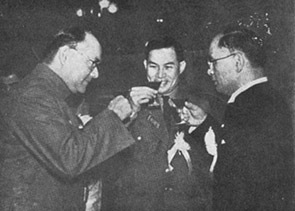 They each then drank from the bowl pledging 'eternal loyalty' to one another and to the cause of Burmese independence. 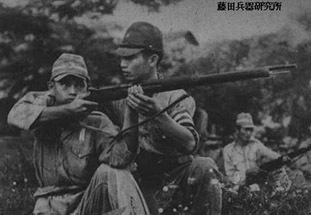 A special unit led by Japanese officer Suzuki Keiji (he was called 'Bo Mogyo' by the Burmese, meaning 'Commander Thunderbolt') was formed. 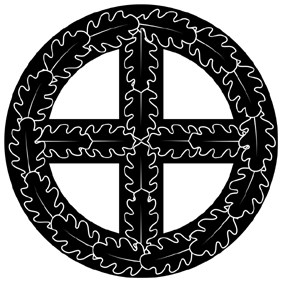 This unit, called 'Minami Kikan' was formed to support a Burmese national uprising. As the head of the unit and the primary trainer of the Thirty Comrades, Suzuki Keiji became a mentor to them. The Japanese invasion sparked the longest land campaign of the war for the British Army. The majority of the Thirty Comrades returned with the Japanese to liberate Burma. 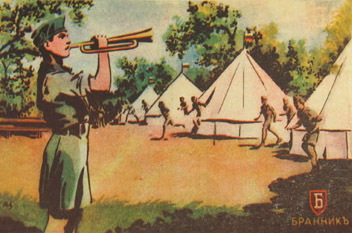 Along with the newly formed Burma Independence Army of over 10,000 recruits from all over Burma, they forced the British and their unfortunate lapdogs, the Indians and the Chinese, back into India. It's also interesting to note that Thai volunteers with the Japanese Army took part in the liberation of Burma. The Japanese asked the newly freed political prisoner, Ba Maw, to head the provisional Burmese government. Ba Maw was a devout Burmese Nationalist and he accepted the offer, glad to be free from the colonizing British rule. The Japanese intended on continuing the occupation only until they could be sure that the Western occupiers were gone from Burma for good. 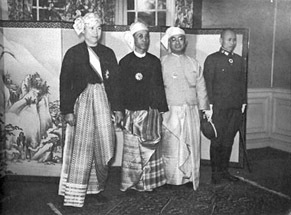 Ba Maw attended the Greater East Asia Conference in Tokyo in November 1943. He made a moving speech to his racial comrades about the call of Asiatic blood that drew them together into a new era of unity and peace. If only that could have been accomplished! All races ruled by their own kind. The dream of the Axis -- from East to West. Unfortunately the Allies won the war and the hopes and dreams of true freedom were dashed against the rocks of tyranny. 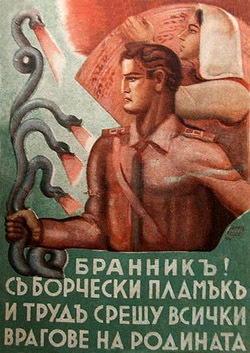 The announcement of the creation of the Union of Russian Youth (CPM) was made on May 7, 1944. The meeting was attended by a representative of the Wehrmacht, Thesmer, Oberbanführer of the Hitler Youth Schulz, District Mayor Borisov Alexis, the future head of the CPM -- ROA (Russian Liberation Army) Captain Yevgeny Lazarev, Chief of Staff of the GMS Ganko M. and head of a Belarusian women's youth organization N. Abramov. To further witness this historic occasion were many local youths, including Russian youth representatives from Serbia and from Russian General Vlasov, along with military units and ROA administration representatives. During this meeting Captain Lazarev was appointed Chief of Staff of the CPM. He had proven himself through faithful and skilled service in various Russian volunteer units. we have a common ally - the German people. 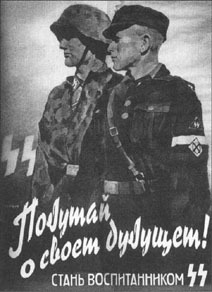 The Union of Russian Youth was structured along the lines of the Hitler Youth. It was composed of youths from 10 to 20 years of age. It was divided into three age groups: children 10-14 years old, 15-18 year olds and 19-20 year olds. There was also a women's section along these lines. This young youth movement was unfortunately cut short by the communist onslaught. 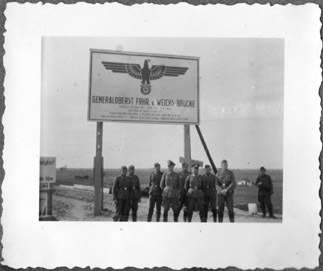 Its leaders and a number of its personnel were evacuated to Germany in July 1944. 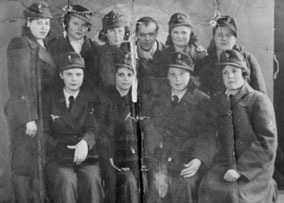 Subsequently, the remaining members of the CPM joined the Luftwaffe 'Flakhelferinnen' and Army Group Center (Pupils of the SS). 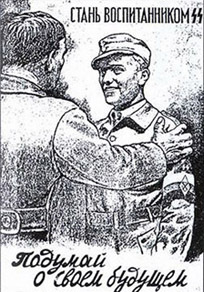 The case of Otto Kulessa blows a big hole in the Judeo-Allied myth about the 'blond-haired-blue-eyed' SS. 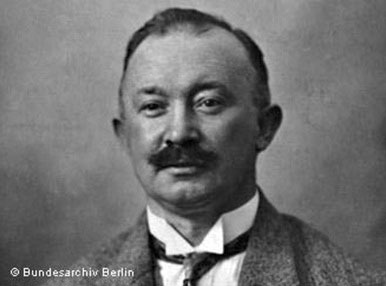 Otto Kulessa considered himself German. The German government as well as the SS authorities seemed to also. But Kulessa was anything but a 'pure-blooded German'. In fact, Kulessa's mother was an Australian aborigine and his father a German! He was born in Rastenburg, East Prussia. By the end of WWII he was married and had three children with a German woman. On May 23, 1944 he was placed with the German Wehrmacht and was trained at Strutthof until September 15, 1944, when he was transferred to work at Mittelbau Concentration Camp. Several days later he was transferred to the SS and went to Nordhausen Concentration Camp. 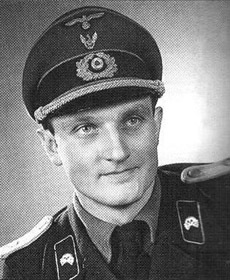 Kulessa found himself in various camps (Dora, Neuengamme, Bergen-Belsen) in the coming months where he was entrusted with command positions. According to his testimony after the war, in April 1945 he commanded Block 88 of Bergen-Belsen, where he looked after many hundreds of prisoners. 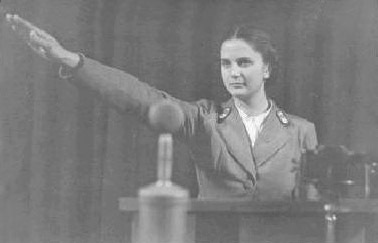 After the war Kulessa was charged with various trumped up charges and sentenced to 15 years in an Allied concentration camp. He was released on May 7, 1955. 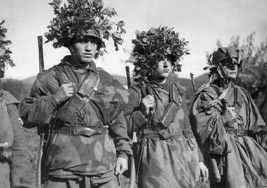 In the closing days of WWII the Waffen-SS opened its esteemed ranks to some of Italy's finest warriors. 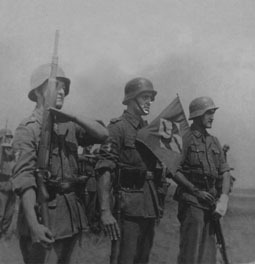 On November 23, 1943 the first Italian volunteers were sworn in, and thus the 29th Waffen Grenadier Division of the SS (1st Italian) or Legione SS Italiana, also referred to as just 'Italia', was born. 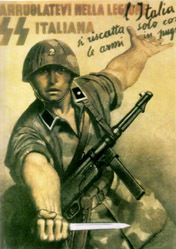 In October of 1943 15,000 Italians volunteered for the Waffen-SS and began training at Truppenübungsplatz Münsingen, Germany, but only about six thousand would meet the standards of the world's foremost fighting force. 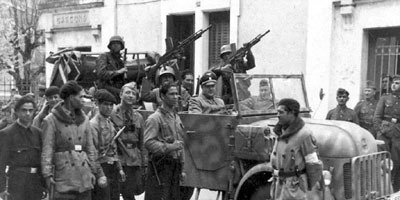 The other 9,000 found their places in police units, the Italian Black Brigades or with labor and construction services. These brave and patriotic men, unwilling to participate in the King of Italy's betrayal of his country when he abandoned Italy's alliance with Germany, began as anti-partisan units. 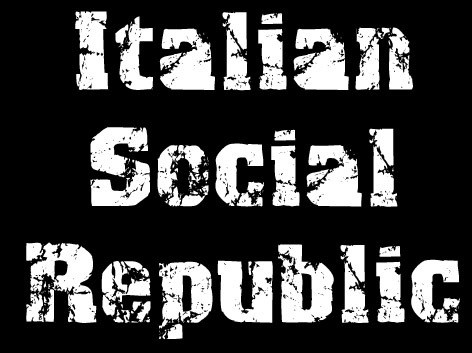 The communist influence was strong in Italy during the dark days of the end of the war and many Bolshevik terrorists and criminals roamed the countryside. In April 1944 three Italian Waffen-SS battalions were baptized in fire as they fought against the Allied bridgeheads of Anzio and Nettuno. Their bravery, tenacity and courage surprised everyone, since no one really knew what to expect of this new group of volunteers. 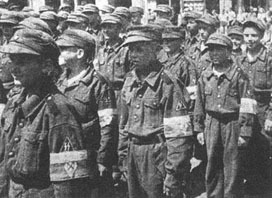 Heinrich Himmler was so impressed that on May 3, 1944 he authorized them to wear the SS-Runes on black rather than red and be fully integrated into the Waffen-SS. This was a symbolic gesture displaying great respect and honor. 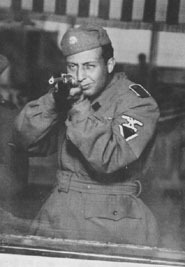 During the Allied invasion of Italy members of the 2nd Italian SS 'Vendetta' Battalion under former Blackshirt Lieutenant-Colonel Degli Oddi greatly distinguished themselves by destroying a determined effort by the U.S. 3rd Infantry Division to overrun their positions. They even managed to capture a good deal of Allied prisoners during those bloody days. 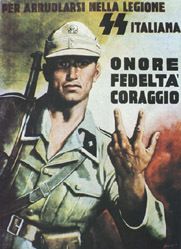 On September 7, 1944 the Italian volunteer force was renamed Waffen-Grenadier-Brigade der SS (Italienische Nr. 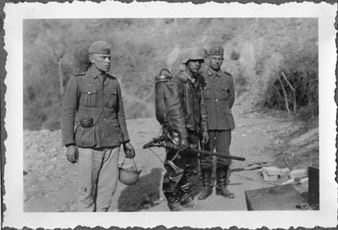 1) and placed under the command of Generalkommando Lombardia of Heeresgruppe C.
The valiant efforts of those first brave Italians inspired thousands of more men to volunteer. 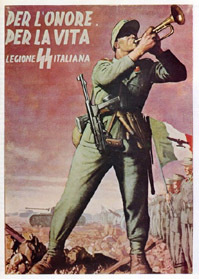 In December of 1944 the Italian Waffen-SS grew to over 15,000 men. 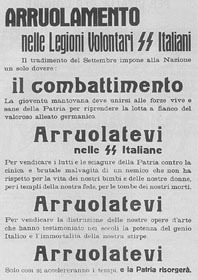 The Italian volunteers of the Waffen-SS spent their final days fighting the huge communist movement which had erupted in Italy. But despite their best efforts and enormous sacrifices the communist-Judeo-capitalist juggernaut was too strong. 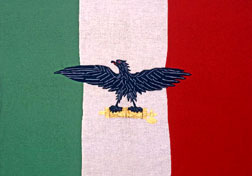 On April 30, 1945 the final bloodied, but unbeaten, elements of these courageous Italians surrendered. 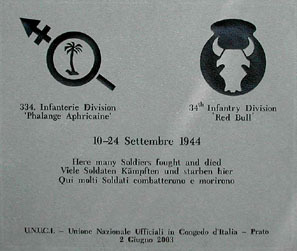 Some of the lucky ones surrendered to American troops in Gorgonzola, Lombardy. 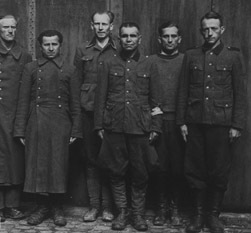 The others were forced to surrender to the communist 'partisans', who murdered many of them in cold blood. 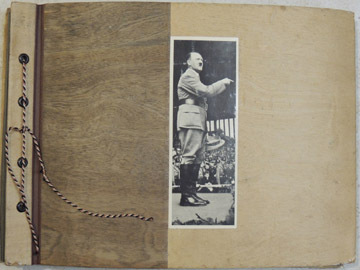 This scrapbook begins in 1941 and takes the soldier into Poland, Romania and Serbia. It gives us a glimpse into the horrors of war -- with a picture of a half-buried corpse and graves of soldiers fallen. It shows us pictures of the devastation of bridges, a crashed airplane, burning houses and abandoned fields. It also depicts soldiers celebrating Christmas around a sparse Yule tree, taking time off under the warm sun, trudging through frozen landscapes far from home, or through the stinking, sticky mud. Also pictured prominently are the people the soldiers met along the way of their perilous journey. 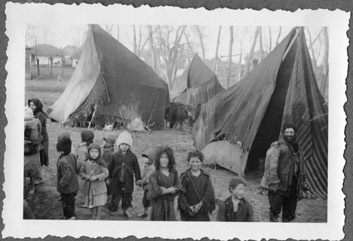 Some of them shocked their eyes with their utterly primitive surroundings and abject poverty. You have to wonder if the soldier who lived this scrapbook made it through. Did he ever see his beloved Germany again? Did he die in a flashing instant? Or was it slow, somewhere in the frozen wastes, fighting communism? Maybe he made it back and surrendered to the Americans or British? Was he with the millions of his comrades who also sought to surrender to them instead of the Russians, hoping for better treatment in captivity? How wrong they were. The Americans and British set up concentration camps where millions of Germans died from starvation, the elements or downright murder at the hands of cruel and sadistic American guards who liked to play 'target practice' on forlorn and starving human beings. Regardless, it is lost forever in the dark dust of time. Whatever happened to the owner of this scrapbook I'd like to just say: 'Thank you'. -slogan of the Brannik organization. 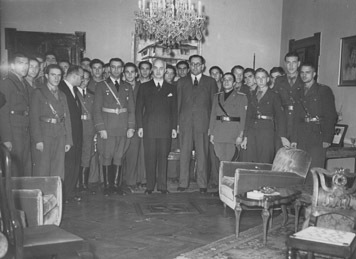 Bulgaria signed the Tripartite Pact on March 1, 1941, officially joining the Axis. 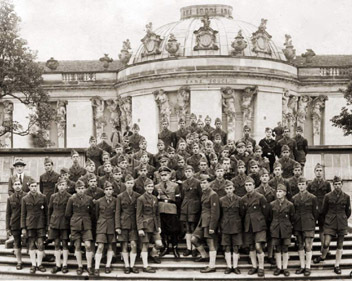 [Above: Brannik group visiting Potsdam, Germany in 1941. Note the German Hitler Youth official in the center of the group. 'One could say that "Brannik" was the Bulgarian version of Hitler Youth...'. Brannik considered communists their enemies and were extremely nationalistic and supporters of the King. 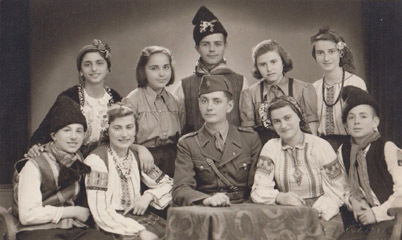 Brannik chapters were established in every high school throughout Bulgaria. While primarily the organization was based in cities, chapters were also established in villages to attract peasants. This was an initiative to integrate the rural population into greater Bulgaria as a whole. 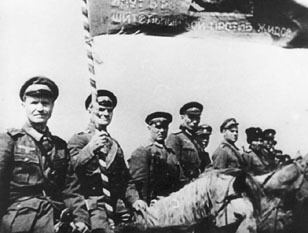 Brannik was first led by Stefan Klechkov from 1941 to 1943. Afterwards, beginning on February 1, 1943 Zachary Stoilkov led the organization until March 24, 1944 when he handed over leadership to professor Georgi Karastoyanov. After the September 9th 1944 communist coup d'état Brannik was dismantled and its members persecuted by the communists. The majority of the symbols, uniforms, awards, etc. of the organization were destroyed, leaving them to be very rare today. 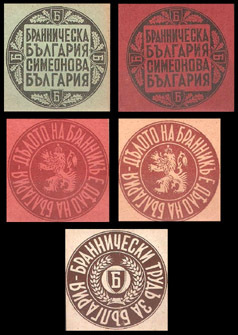 [Above: Brannik postal propaganda labels. The top two say: 'Bulgaria of warriors [Branniks], Bulgaria of Simeon [great Bulgarian king]. 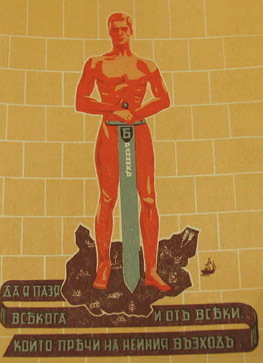 The Ratniks, or 'Warriors for the Advancement of the Bulgarian National Spirit', was a Bulgarian nationalist organization founded in 1936 and headquartered in Sofia. 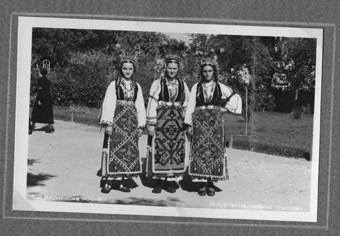 This group was inspired by National Socialism and was deeply loyal to the Bulgarian Orthodox Church. They wore red uniforms and were fiercely anti-communists and anti-Jewish. They were led by Professor Asen Kantardzhiev. 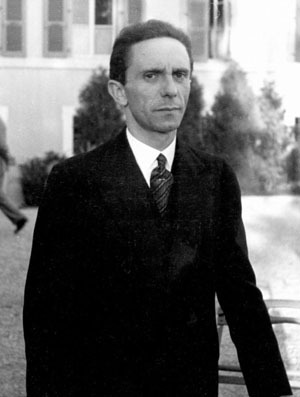 Although they pledged their loyalty to the Monarchy and King Boris III of Bulgaria the King officially dissolved the organization in April 1939. This symbolic ban however was not enforced and they remained in existence. It would seem that powers behind the throne ordered the King to ban the Ratniks. 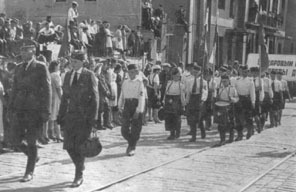 On September 20, 1939 the Ratniks marched in Sofia throwing stones at Jewish shops. 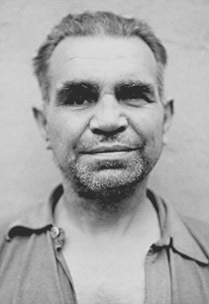 An important leader of the Ratniks, Alexander Belev, claimed responsibility for planning the rock-throwing protests. 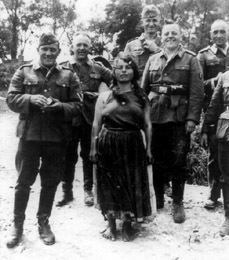 Many of the Ratniks were forced to leave Bulgaria with the coming of the communist hordes on September 9, 1944. 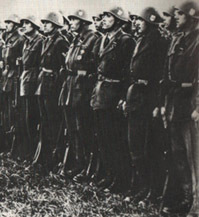 Many of the leaders became members of the Bulgarian national government abroad, while younger members of the Ratniks volunteered to fight on and joined the German Wehrmacht, still others stayed in Bulgaria and went underground, continuing the fight against communism. 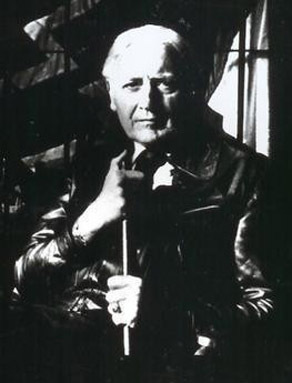 Hugo Boss (July 8, 1885 – August 9, 1948) was a German fashion designer and owner of a luxury fashion and style house based in Metzingen, Germany. The company still survives today and is named after its founder and National Socialist party member Hugo Boss. In the financially turbulent year of 1924, Hugo Boss founded his clothing company in Metzingen, a small town south of Stuttgart. 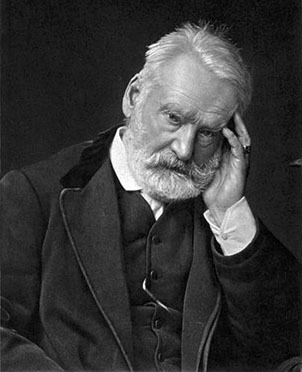 But due to the inflationary crisis in Germany at the time he was forced into bankruptcy. In 1931, he began again, with only six sewing machines to his name, all that was left to him after the financial jackals nearly destroyed his company and his country alike. But like Adolf Hitler and the National Socialist party Hugo Boss was as a phoenix and his star was about to rise. In that same year Boss joined his countrymen and became a member of the National Socialist party and a sponsoring member of the Schutzstaffel (SS). 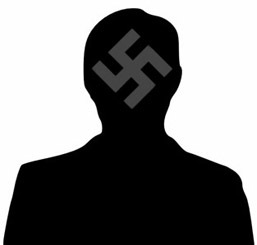 In the following years his zest for his country and beliefs grew and he joined the German Labor Front in 1936, the Reich Air Protection Association in 1939, and the National Socialist People's Welfare organization in 1941. 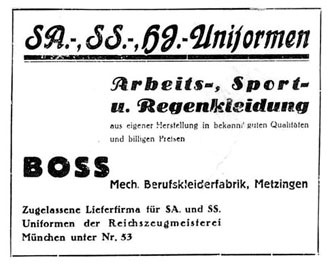 An advertisement for Hugo Boss stated that he began producing uniforms for the National Socialist party in 1924. As time went on he became an officially licensed supplier of uniforms to the SA (Sturmabteilung), SS (Schutzstaffel), HJ (Hitler Youth), NSKK (National Socialist Motor Corps), plus a handful of other party organizations. Anyone looking at photographs of National Socialist uniforms can see why Boss' business flourished during the years of freedom from usury and the financial predators that nearly destroyed Germany. His style and suave designs during this period are legendary. Not many people know the HUGO BOSS brand's origins and I'm sure the company would rather have the world forget them. But history remains and the fact that Hugo Boss was a fervent 'Nazi' is well-known to historians. In fact, according to German historian Henning Kober, the company managers were zealous National Socialists who immensely admired Adolf Hitler. Also according to Kober, Hugo Boss had a photograph in his apartment of himself with Hitler, taken at Hitler's Obersalzberg retreat in 1945. 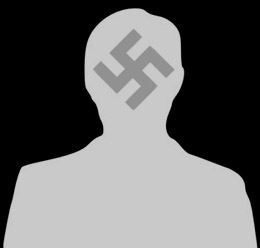 The Judeo-Allies punished Boss for his National Socialist party membership and his financial support of the SS. They even punished him for making uniforms for his country! He was considered both an 'activist' and a 'supporter and beneficiary of National Socialism'. 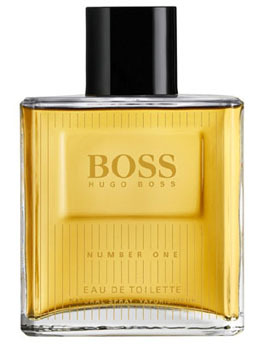 In 1946 vengeance was laid out to Hugo Boss. He was 'legally' stripped of his voting rights, his capacity to run a business, and fined a huge penalty of 100,000 DM. He died in 1948, but his business survived, carried on by his son-in-law. 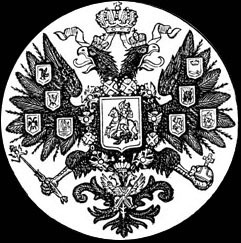 The 1st Sinegorsk Cossack Ataman Regiment was formed in the winter of 1942-1943 from Cossack volunteers from the village Sinegorskaya on the Don (The Don River is one of the major rivers in Russia). It began its life with 1,260 men under the initial command of army sergeant Zhuravlev. In January-February 1943, the regiment took part in defensive battles on the Seversky Donets, then tactically retreated to the Ukraine. 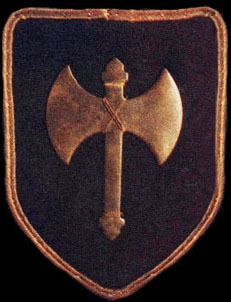 In March 1943, the soldiers of the regiment were included in the 1st Cossack Cavalry Division von Pannwitz. 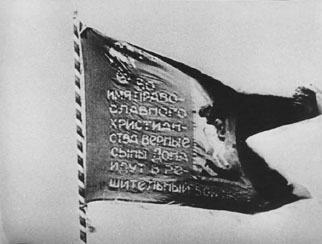 The 1st Sinegorsk Cossack Ataman Regiment possessed a unique battle flag, perhaps one of the most eye-catching of the war. It was more than just a flag to the men of the regiment, however. It was holy, being sanctified in one of the rural churches that re-populated the land since German armies had brought back religious freedom. This ceremonial act was done on Easter Sunday, April 25, 1943. 'In the name of Orthodox Christianity the faithful sons of the DON go to battle resolutely against the Jews!'. The reverse side of the flag is identical, but instead of the icon of the Archangel Michael, there is instead the icon of St. Demetrius on a white horse, also spearing a dragon. 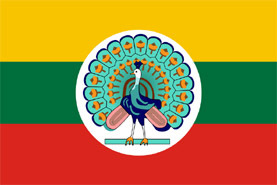 The blue-yellow-red colors of the flag match the traditional range of colors of the Don region. This holy flag's fate is unknown, as are the specific fates of many of the regiment. It is known that the flag was eventually kept in the regimental headquarters, but not much beyond that. 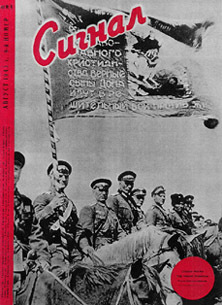 The flag was pictured in various magazines of the time -- 'In the Cossack Post' and 'Signal' are two of them. 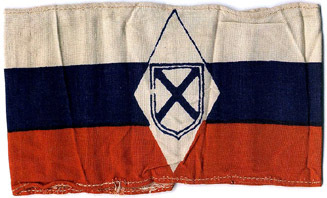 Much like the holy German Blood Flag, which is also 'lost' to history, the flag of the brave men of the 1st Sinegorsk Cossack Ataman Regiment is perhaps being treasured privately, somewhere in the great expanse of Russia, waiting to fly free once again. The Legion Imperiale, as this unit was also called, was formed by the Vichy French government in November 1942. The reason for its formation was to drive the Allies, who had recently invaded North Africa, off the continent. France was embroiled in a nationwide argument on what to do in Africa. 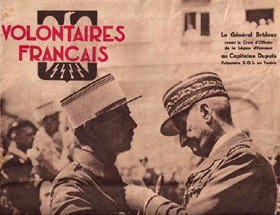 The great Jacques Doriot (founder of Parti Populaire Français and LVF veteran) called for the formation of a Legion to be sent to Africa. 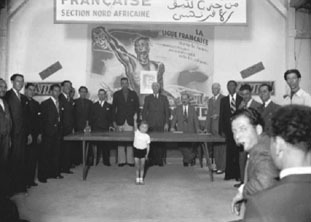 Eventually several meetings are organized in Paris toward the establishment of the African Phalanx (Phalange Africaine). 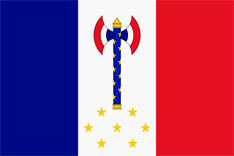 This force would be charged with the duties of defending French territory and North African populations. 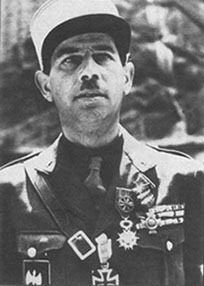 On November 20, Pierre Laval gave a speech where he accepted the principle of a legion but refused a declaration of war. Under the direction of Joseph Darnand, head of Legionnaires Order Service (SOL), the formation of the legion began. There are no known official figures of the French force and numbers vary by author, but it is safe to say there were 400-450 men, about 2/3 French and 1/3 Algerian (330 French volunteers were recruited and instructed in the Bordj-Ceda camp). 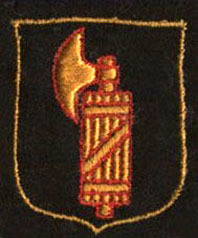 The Germans assisted in the training of the African Phalanx, from anti-tank techniques to intelligence. On March 18, 1943 this rather mysterious unit was sworn in. The unit was largely equipped with French equipment, but the Germans contributed many rifles, a handful of machine guns, thousands of grenades, etc.. The African Phalanx wore French uniforms with German helmets and boots. Their helmets were painted on the right side with a red, white and blue tri-color flag, while on the helmet's left side was a shield and axe, white on black with a white border background. 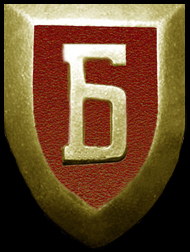 These markings were carefully hand-drawn using the dimensions of German helmet decals. In April the unit was ready for combat. 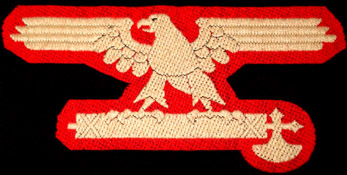 It was attached to the 754th Grenadier Regiment commanded by Colonel Audorff where it was officially known as 'Französische Freiwilligen Legion' or more loosely as, 'Company Frankonia' in the 2nd Battalion of the regiment and commanded by Captain Dupuis. On April 7th 1943 in the Medjez-El-Bab area Company Frankonia clashed against British forces. The unit performed well and protected their sector. 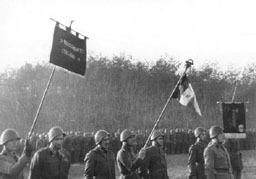 The German general in charge of the defense operations gave his congratulations and awarded several Iron Crosses to the men. Friday, on the night of April 16, the African Phalanx sent out a patrol of eight men and two sub officers. They ventured 4-5 km east of Bab-el-Medjez and surprised a British (New Zealand or Hindus troops) reconnaissance group. A violent clash ensued. A German battle group arrived just in time and repelled the British forces. Seven of the French group died and the remaining three were wounded. French Staff Sergeant Picot was found decapitated! Despite this horrid act the Germans collected the British forces that laid wounded on the battlefield. 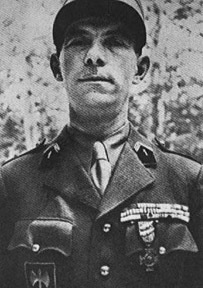 The next day a patrol was sent out to retrieve the body of Sergeant Picot. It was never found. The survivors kept their composure and remembered their training, however. They resisted the British offensive and made an orderly retreat. 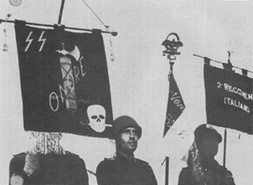 Later that April, the remnants of the unit were renamed once more to 'Légion des Volontaires Française de Tunisie (Legion of French Volunteers of Tunisia)'. On Friday May 7th, after many vicious battles where ammunition and supplies were in desperate need, Captain Dupuis gave the order to demobilize the company. Everyone received three months' pay and a choice of 'disappearing' into the surroundings or going to Carthage with the captain to an Archbishop of Tunis, Bishop Gounot, whom agreed to protect them. Captain Dupuis says a few words, and the African Phalanx was no more. The Allies were vengeful to their prisoners, and of the unfortunate men who were captured, numerous were executed and even more were condemned to long jail sentences -- a fate often worse than death. The victorious Allies hunted these men like animals, offering rewards even. Most of the men who fled to Carthage and to the promised protection of Bishop Gounot were eventually captured. 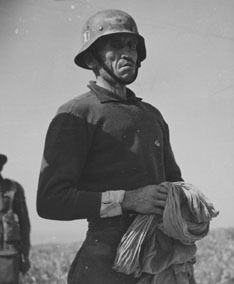 It is said that the Allies murdered many of the indigenous volunteers of African Phalanx. There are stories of some men who eluded capture, wandering from place to place, eventually finding refuge in Spanish Morocco. The men of the sacred African Phalanx, from Tunisia to Italy, heroes of the highest sort, gallons of their blood spilled to free Earth. Tanganyika, a former German East African colony, is called Tanzania today. 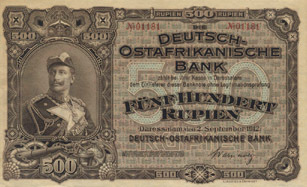 Germany established a colony in East Africa with the cooperation of local chieftains and soon created a model of colonial efficiency which commanded extraordinary loyalty among the natives. 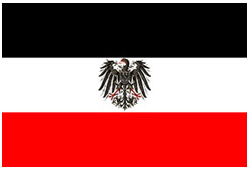 This loyalty was shown most vividly during WWI, where the natives supported a small German force against a much larger one, and this German force was never defeated because of it. Germany developed an educational system for Africans that was truly revolutionary. It involved elementary, secondary and vocational schools. There were instructor qualifications, curricula, modern textbooks, teaching materials akin to those in Germany, all of which met standards unmatched anywhere in tropical Africa. 'In regards to schools, the Germans have accomplished marvels. This was six years after the end of WWI and Germany's loss of all of her colonies. 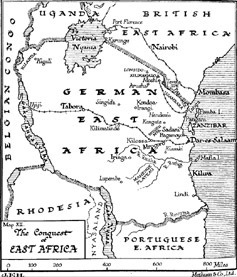 East Africa was split in half by Britain and Belgium due to the absurd Treaty of Versailles. Education was not the only thing which suffered when the Germans were forced out of Africa. Nearly all levels of society suffered, Tanganyika was no longer a progressive society, but backward and under a form of occupation. It is a little known fact that black Africans served the Axis in Africa during WWII. While they served in various capacities some of them are documented as even serving as agents of the Abwehr (secret service). 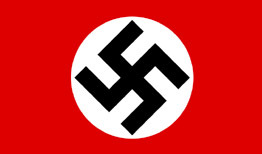 Forms of National Socialism were advocated in the early part of the 20th century in Japan. 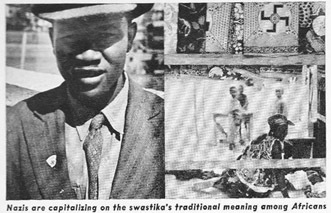 In 1919 a National Socialist group called 'Yuzonsha' was formed to fight against capitalism and communism. 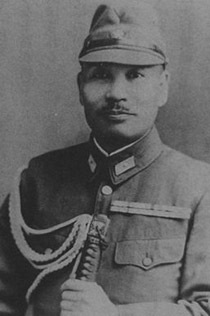 One of Yuzonsha's goals was to rid Japan of capitalist inequality and exploitation. Highly nationalistic, it put an emphasis on people and culture, and was in sharp opposition to communism. 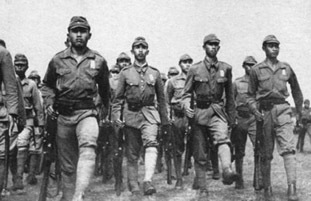 During the Russian Civil War (1918–21), Japan sent troops to Siberia and later occupied Vladivostok from 1918 until 1922. They were staunch enemies of communist ideology, a hatred which would last until the total collapse of communism in the early 1990s. 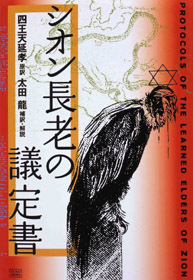 Some of the Japanese soldiers are said to have returned with the Protocols of the Meetings of the Learned Elders of Zion, which was soon translated into Japanese. 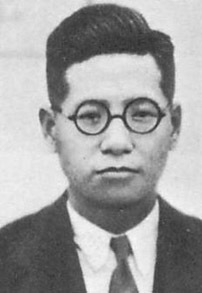 Ikki Kita (April 3, 1883 – August 19, 1937) was one of the foremost forces advocating a form of National Socialism in Japan. He was an author, intellectual and political philosopher. He sought a complete restructuring of Japan, from the Emperor on down. 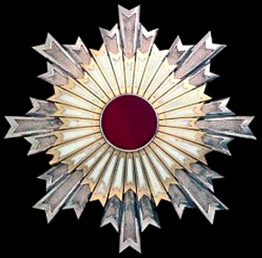 He promoted the idea that the Japanese were not the 'emperor's people', but the emperor should be the 'people's emperor'. He saw in the emperor a person and position which could rule Japan under National Socialist rule. Kita's vision of Japan would nationalize key strategic industries, impose limits on individual wealth and private property, enact a land reform to benefit farmers, etc. Kita also dreamed of a national policy through which Japan would lead a united and free Asia. An Asia free from colonialism and Western influence. Kita's first book was banned by the government upon its publication. Other than his books, Kita's ideas were spread and circulated in pamphlets and leaflets. He was in contact with other nationalists all over Japan. The government feared Kita's ideas and thought him to be dangerous to their power. 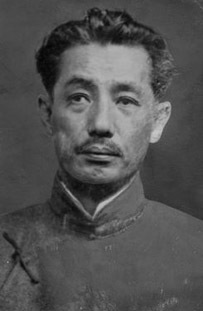 In 1937 Kita was indirectly implicated in a failed coup and executed for 'complicity'. But they did not silence Kita's voice. His books are still read in academic circles in modern Japan. 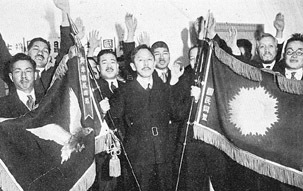 In 1932, Katsumaro Akamatsu founded the Japanese National Socialist Party (Nippon Kokka Shakai To). 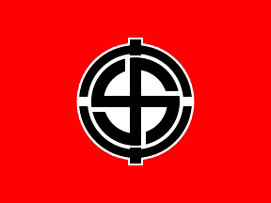 In 1934 Junjuro Ishikawa formed the National Socialist Party of Great Japan (Dai Nippon Kokka Shakai To). Ishikawa authored a book entitled 'Research on Hitler's Mein Kampf'. 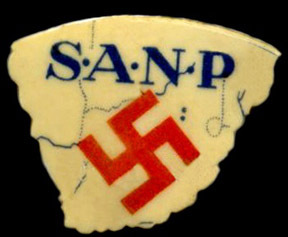 In 1937 the party would cease operations. The first known fascist organization in Japan was formed in April 1933, called the Japanese Fascist League (Nippon Fashisuto Remmei). 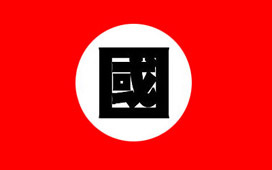 Three years later, in 1936, another fascist organization named 'Tohokai' (Eastern Society) was founded by Seigo Nakano. 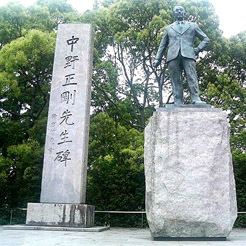 Seigo Nakano (February 12, 1886 – October 27, 1943) was a Japanese politician and intellectual who sought to bring about a rebirth of Japan through a combination of samurai ethic, Neo-Confucianism, and nationalism inspired by European fascism. 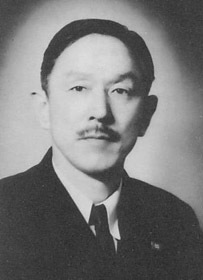 Nakano helped form the 'Kokumin Domei' (National Alliance) in December 1932, but left the group in May 1936 to form the Tohokai (Far East Society). In December 1937 Nakano gained a personal audience with Benito Mussolini. In the next month, he was granted an audience with Adolf Hitler himself and Foreign Minister Joachim Ribbentrop. In a speech from January 1939 Nakano argued the reasons why fascism and National Socialism are needed in Japan, and stressed their compatibility with Japan's culture and people. He noted that majority rule 'is the precise cause of contemporary decadence' and how the so-called democracies promote an 'individualism which shows no concern for others'. Nakano said what was needed was a 'government going beyond democracy' and consideration given to 'the essence of human beings' with a natural unification of people 'sharing common ideals and a common way of feeling' where a 'perfect national organization' can be born. In the 1940s Nakano was very critical of the Tojo regime and was thus forbidden to publish articles, books or make public speeches. He committed seppuku (ritual suicide) on October 27, 1943 after being accused of inciting a revolution and placed under house arrest.